I am so, so honoured to have a Lovebot dedicated to me and this lil ol’ project! It lives outside of Wanda’s Pie in the Sky in one of my very favourite places in all of Toronto — Kensington Market. There will be 100 of these concrete love-filled statues around Toronto, each dedicated to an individual. The stories of these folks (including me! Blush!!) are up on the Lovebot site, along with a map of this Love Invasion! And check out the news spot on CTV National news! 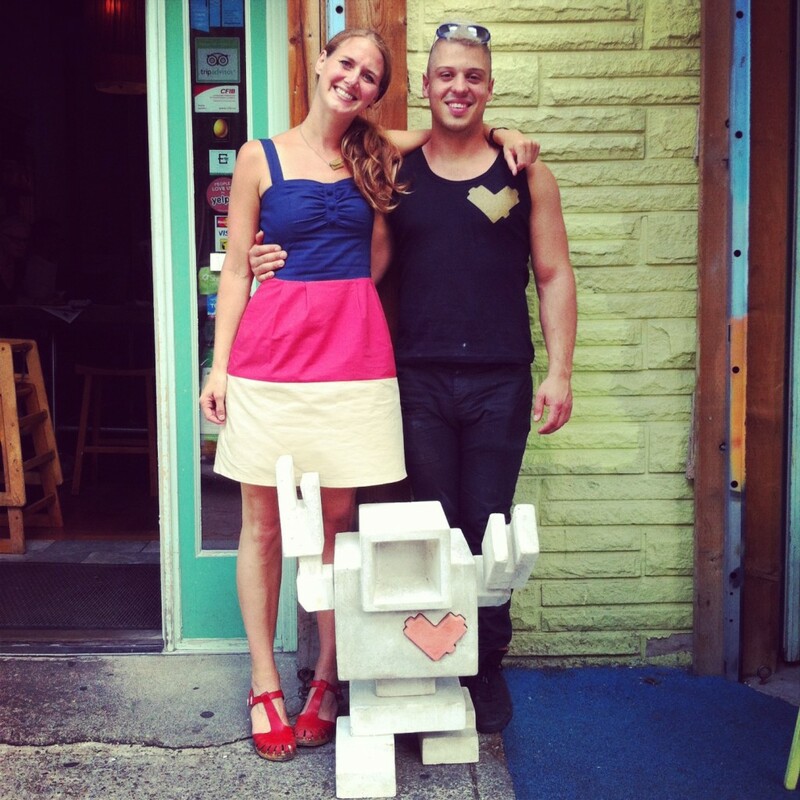 Love lettering + Lovebots together in Kensington Market!